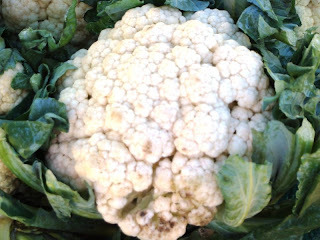 Cauliflower also contains vitamin C and folate. Folate helps the blood work more efficiently and is often recommended for preventing anaemia. Folate is also essential for proper tissue growth and not getting enough can make you susceptible to many diseases down the road such as cancer and heart disease. Vitamin C is considered an antioxidant. When used alongside other antioxidants such as vitamin E and beta-carotene, you can keep your immune system strong. 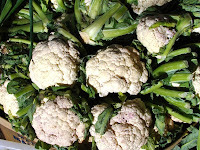 Three florets of cauliflower a day will provide you with 67% of your daily vitamin C requirement. When purchasing cauliflower, make sure the tops are white. If the floret has begun to spot brown or purple, it is past its nutritional peak. Serving the cauliflower raw will give you the highest nutritional benefits, however, if you must cook it, lightly steamed will also keep its cancer-fighting components intact.